This comfortable 70 series Landcruiser is perfect for your next 4WD adventure. 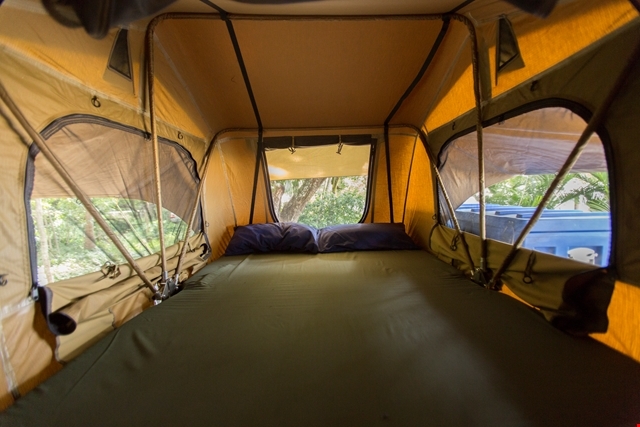 Our Overlander 4WD Camper can seat and sleep up to 4 people, with 2 above in the pop up Roof Top Tent, and sleeping for 2 in the annex on 2 single foam mattress’s. 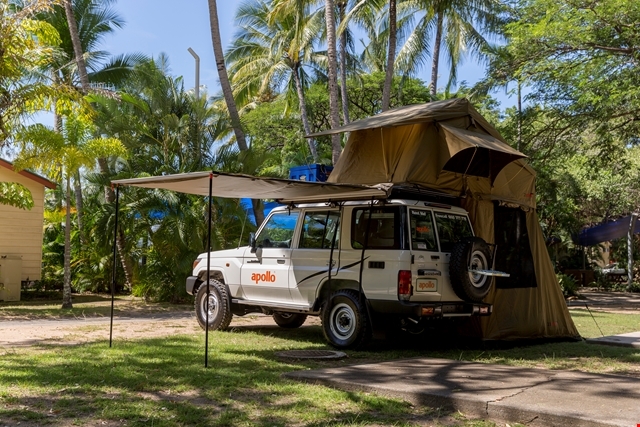 With the basic 4WD essentials such as large fridge/freezer, 2 burner gas stove and air conditioned driver's cabin – the Overlander is all you need to get away. 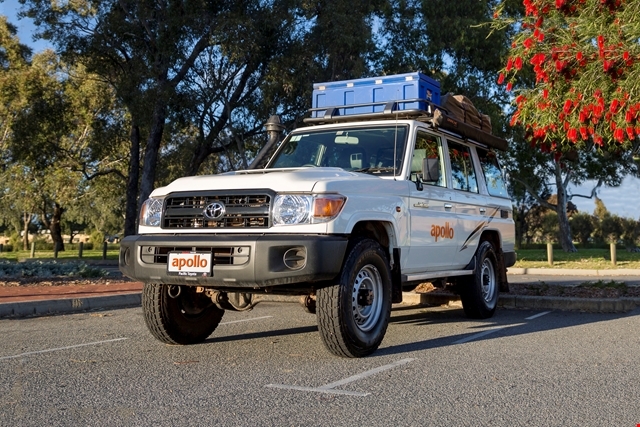 If travelling in a 4WD please read the information linked to below for recommended travel routes, roads that require permission from Apollo prior to travelling and roads that are strictly prohibited. With the rubber hammer it is difficult to break the pegs of the outer tent into the ground (steel hammer would be more helpful).